Geta is self-taught quilter and designer from Brasov, Romania who has been quilting for over ten years. 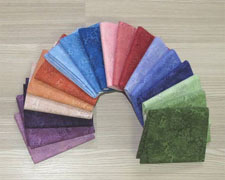 "I am a passionate quilter living in Romania. Unfortunately, here quilting is an unknown craft to most people. I love to share my quilts with you!" Today's project comes to us from Geta Grama of Geta's Quilting Studio. Many of Geta's designs focus on 3D themes, and this project is one of them! 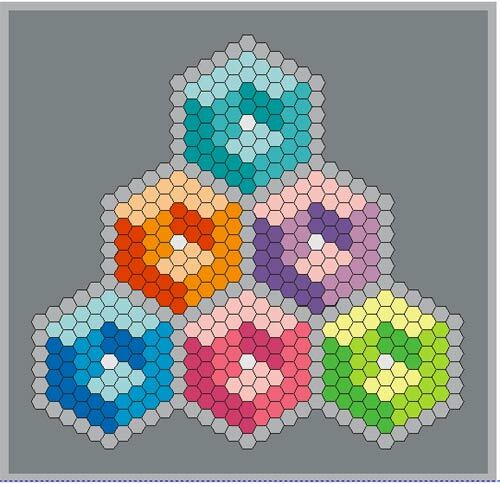 Do you like hexagons? 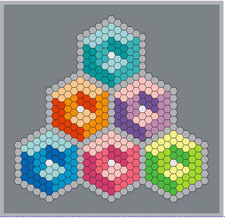 This project will result in a wall-hanging quilt of whatever size you like that will feature an interesting 3D visual effect. Have fun! Geta is a Romanian Quilter, and being from a country in which quilting is not yet very popular has presented many challenges to this self-taught and passionate designer. Geta has a wonderful story that is inspiring to read. Check out her sites to see more from this amazing quilter! Also be sure to check out her book, Shadow Trapunto Quilts, about her very favorite quilting technique!